The Melbourne University Athletics team travelled to Perth for the Australian University Games in the last week in September and delivered some great performances. With a small team of twelve athletes, it was a case of quality over quantity for this tight-knit group. We had many outstanding individual performances, winning a total of 9 medals. This included gold medal performances from Corinna Minko in the women’s long jump, David Kinnersley in the men’s high jump, James D’Alfonso in the men’s 400m, and the men’s 4x400m relay team. Although athletes from the University of Sydney dominated most events, especially the relays for both men and women, the Melbourne Uni men’s 4x400m relay team prevented a Sydney Uni sweep of the relays. In the end Melbourne finished 5th overall behind the winner’s the University of Sydney. This is a great result. 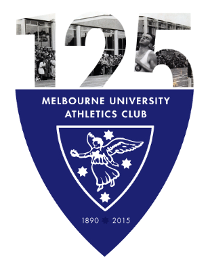 Congratulations, Melbourne University Athletics! 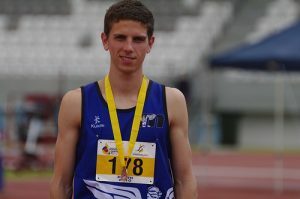 The 2011 Australian University Games will be held in the Gold Coast and Melbourne University will be sending a full team, aiming to take the top spot from USyd and UQ. Men’s relay team medals 1st 4x400m and 2nd 1600m medley relays: James D’Alfonso, Darcy Sutton, Dominic Sutton and Yasuhito Nakajima.